The Delta College Planetarium inspires exploration through entertaining Dome360 shows and events. But did you know you could take classes there, as well? The Planetarium is located in the heart of downtown Bay City, at the beginning of historic Center Avenue. It is within walking distance to Wenonah Park, numerous restaurants, coffee houses, shops and the Alice & Jack Wirt Public Library. 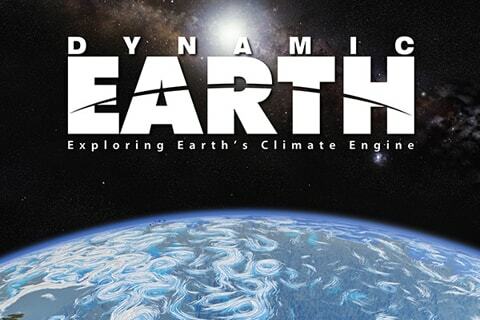 Explore the inner workings of Earth's climate system. With visualizations based on satellite monitoring data and advanced supercomputer simulations, this cutting-edge production follows a trail of energy that flows from the Sun into the interlocking systems that shape our climate: the atmosphere, oceans and the biosphere. Kaluoka’hina’s colorful inhabitants live in peace until the volcano erupts, and the spell is broken. Now it’s up to Jake, the young saw fish, and his paranoid pal, Shorty, to restore the magic of Kaluoka’hina. Their only lead: the ancient legend that tells of touching the Moon. Scientists aren't waiting for asteroids and comets to come to us to learn more about them. Get an up-close look at spacecraft sent to rocky asteroids and icy comets. You’ll follow the trek of the Chelyabinsk meteor as it entered Earth's atmosphere in 2013 and visualize major shifts in the history of the solar system billions of years in the making. 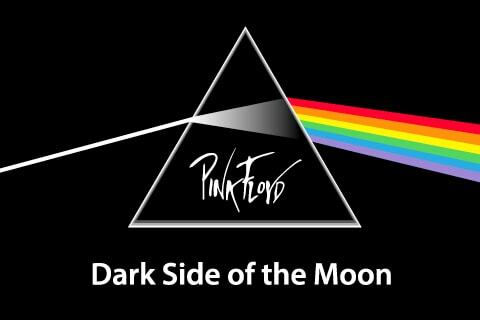 The Dark Side of the Moon is the most successful album of the band Pink Floyd. Even on its own, it’s a terrific listening experience but the visual impressions make it a memorable event that pushes the boundaries of a new entertainment dimension. All tickets are $7 a seat. See what shows are playing in May and beyond. There is always something happening at the Delta College Planetarium. Explore the universe with unique events that combine shows, presentations, demonstrations and interactive learning opportunities for all ages. We will have hands-on activities, dome demos, a telescope workshop and, weather permitting, observing on our rooftop observation deck. Delta’s planetarium contains one of the world’s most advanced digital theater systems. In 1993, Delta College secured a grant from NASA totaling $8.75 million to fund the design and construction of the Planetarium. The exterior “cone” shape of the Planetarium theater represents a rocket exhaust nozzle. "A great venue in the middle of the city. The 360 screen puts you right in the show!" July 2019 marks the 50th anniversary of the first Apollo landing on the Moon. The Apollo project was America’s program to build and fly the first spaceships to take humans to another world. Learn more about what made Project Apollo so special, and about the programs and special events the planetarium will put on to observe each of humanity’s missions to the Moon. Astronomy is a fascinating topic, it deals with everything in the known universe! You might want to learn what you can see in the sky by exploring it with binoculars or telescopes. Or, maybe you'd like to dive even deeper into the wonders of the universe. You'll love taking classes at the Delta College Planetarium & Learning Center. It's easy, convenient and close to home. Plus, you'll have the same resources and great faculty as you would at main campus. You really can't go wrong. Visit the galaxy from the most comfortable seat in the house. The $8.75 million facility, funded by NASA, houses a state-of-the-art Planetarium Digital 360 theater, with a JVC full dome video laser projection system with Digistar® 6 software housed under a tilted 50 foot domed screen with 146 unidirectional seats. A field trip to the Delta College Planetarium and Learning Center is an interactive learning adventure for groups of all ages. The shows at Delta's Planetarium bring science to life and encourage an excitement for learning. Are you looking for an unique location for your upcoming event? The Delta College Planetarium and Learning Center has facilities available for birthday parties, business meetings and, even, weddings. From rooftop stargazing to seasonal events, the Delta College Planetarium and Learning Center offers exciting special events throughout the year. Do you want to be the first to know about upcoming shows, special events and Planetarium news? Sign up today to receive our enewsletter. The Delta College Planetarium & Learning Center has brought the universe to school children, Delta College students and community members since 1997. Funded by a $8.75 million grant from the National Aeronautics and Space Administration (NASA), it is one of the most active planetariums in Michigan, offering cultural and educational programs to more than 18,000 visitors each year. Upgrades and changes continue to redefine the "Planetarium experience", and Delta College has embraced the latest technology. Our Digistar 6 is the world’s most advanced digital theater system. Bright and sharp images, 4K full-dome video and a new 360-degree projection system allow viewers to see, feel and hear a more dramatic and immersive show than ever before. You can Be A Star and support Delta’s state-of-the-art facility! Your donation will be dedicated to supporting the future needs of the Planetarium & Learning Center, from new technology to new programs. You can ensure that future generations will be able to see our universe in its entire splendor. There are a total of 621 "stars", located in their respective constellations, embedded in the facility’s lobby. Two sizes of stars are available, along with theater seating. Your financial support entitles you to have your name permanently engraved on one of the "stars" or a Planetarium seat. Sponsorships are tax-deductible, and can immortalize you, your family members or friends. If you are interested in sponsoring a star or a Planetarium seat, contact the Delta College Foundation at 989-686-9224 or email foundation@delta.edu.